What Algorithm and methods that Slot Machines Employ? 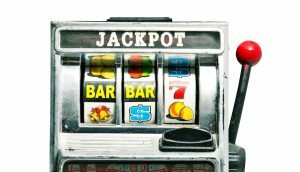 What Algorithm Do Slot Machines Use? The days of mechanical slots are over. Computers and software run today’s slots. Secret programs and mysterious microcircuits are what make a you winner or a loser. What’s inside those programs? What are the secret algorithms that make some slots hot and some not? If you think there’s some money-making secret buried in the slots software, you’re going to be disappointed. The programs, algorithms and microcircuits have nothing to do with making or losing money at a slot machine, whether you play at online casinos or brick-and-mortar casinos. The real secret lies somewhere above the algorithms: the pay table. So, What Algorithms Do Slot Machines Use? Before meeting the pay table, let’s answer the question we started with. What are the algorithms that slot machines use? No matter the machine, all mechanical and video slot machines use a Pseudo Random Number Generator (PRNG) to determine the payline symbols. The “algorithm” randomly spits out numbers every millisecond. When a player pulls the arm, the computer takes the last set of numbers it has generated, one for each symbol that appears on a reel. The computer never stops generating these random numbers, making it impossible to detect any kind of pattern. In the time it takes you to pull the lever twice, the system has generated millions or billions of numbers. There is no such thing as a predictable “cycle” for any machine. The numbers are always random and always being generated, even when the machine sits idle. If there were a cycle, it would be buried in the gazillions of numbers that are never even used. Once the program selects the last set of generated numbers, the computer runs a mathematical operation on those numbers. For instance, a slots program might divide the number by the number of positions on a reel. It throws out the quotient. The slots program then uses the remainder to determine which “place” on the reel to display. Whatever symbol is assigned to that “place,” that’s the symbol you get. It then does the same math on the next random number until it has assigned all the symbols to all the reels in the payline. How does the program assign symbols to a reel? It uses the probabilities assigned in the pay table. What Is the Pay Table? Every slots program uses a list of payout outcomes and their assigned probability in the form of a “pay table” (or “reel strip” or “probability and accounting report”). Who creates this pay table? Sometimes the manufacturer, though usually the casino. The sum total of payouts relative to their probabilities determines the “payout percentage,” “payout,” or “Return To Player” (RTP). Payout percentage is the statistic that matters to casinos and players. A payout percentage of 96% means that, over the lifetime of the machine, players will earn back $96 for every $100 fed to the machine. Keep in mind that the payout percentage applies over the lifetime of the machine. You will almost never, even in a marathon session, hit this payout percentage right on the nose. In fact, you’ll usually end up quite a distance from it. The expected difference between the actual payout percentage and any session’s payout percentage is the volatility or variance of the machine. On a high-volatility machine most people will lose their bankroll on the machine, while a very small number of people will win big. On a low volatility machine most people will do okay or win a little bit, while almost no-one will get a big win. What determines the volatility? You guessed it: the pay table. How does the pay table determine volatility? Volatility is the relative difference between probabilities assigned to big payouts relative to the probabilities assigned to low payouts. The pay table is the real heart of the system. Everything that matters — payout percentage, volatility, house edge, odds of winning a jackpot – everything – comes from that pay table, not the algorithms. It should come as no surprise that the pay tables are a closely guarded secret! “Weighted” just means that some symbols appear more often than others. Using the pay table, the software assigns each symbol a weight. This weight is the number of spots the symbol occupies on each reel. If the program assigns a symbol to ten of twenty slots on a reel, the probability of that symbol coming up in a payline is 50%. If it assigns a symbol to one of twenty spots on a reel, the probability of that symbol appearing on a payline is 5% (1 out of 20). These weights then deliver the individual payout probabilities specified in the pay table. For instance, if a symbol has a 50% probability of appearing in a payline, the odds of getting five of that symbol in a payline are 1 in 15. Slots are not weighted the way you might think. First of all, slot machines use different pay tables. Even identical machines sometimes use different pay tables. Mixing up high payout machines with low payout machines inspires players to dump money in the machines in a quest to find “loose” machines. Second, payouts often don’t match probabilities as they do in other casino games. For instance, an 80 to 1 payout might be assigned a higher probability than a 4 to 1 payout or a 5 to 1 payout. The reason is that a big payout will keep a player at the machine hoping for another big payout. In contrast, a series of low payouts will eventually drive the player away. Some of the most popular slots, like Gonzo’s Quest, are masterpieces of delivering just enough exciting big wins to keep players going without actually losing money for the casino. That’s because the probabilities do not match the payouts in the pay table. Pay tables can always be changed. Most slot machines – and online slots – are networked to a central server, so pay tables can be changed in a heartbeat. However, there are laws that govern these changes. For instance, a casino can’t change the pay table while someone is using the machine. But, yes, casinos change the pay tables a lot. Today’s “loose” machine could blow up your bankroll tomorrow while playing at the world’s best online casinos.